Bandra has an eclectic mix of fashion, fit for any kind of person and for any occasion. You can be sure to find heady cocktail dresses, LBDs, summer wear, the latest spring collection and latest styles around the world. Yup, this place has it all. 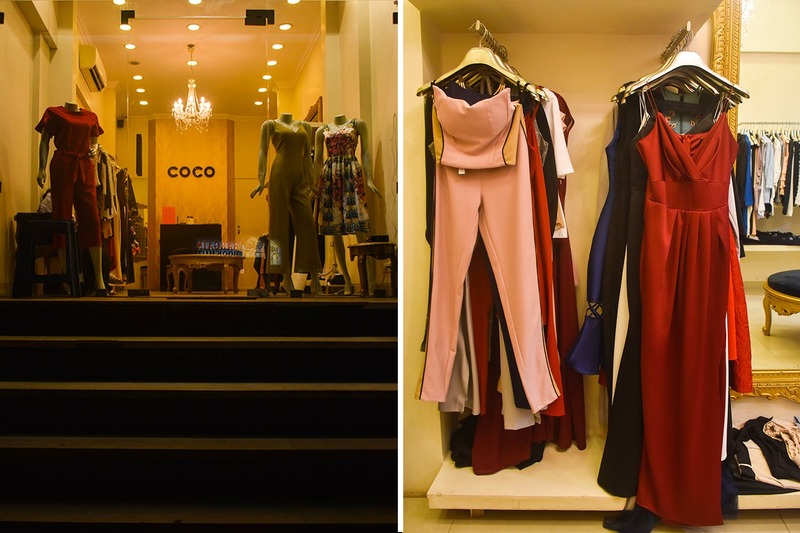 But moving on from these fond memories of crazy shopping sprees, we came across Coco, a high-end fashion store in the middle of this madness that speaks volumes of the range available in the Republic of Bandra. With their collection designed in Spain, and stores set up in Malaysia, Spain and India, the brand appeals to a fashion-savvy niche that truly gets the latest trends that the world follows. They have a range of semi-formal attire, that ranges from tops, blouses, tunics, bottoms, jumpsuits and separates. We fell in love with their dress collection, from tunics to even maxis, they have a great mix with different styles for every mood. You’ll find shift dresses, tea dresses, wraps, empire waist & a-lines, and even sundresses. So, if you want to dress down or dress up, you have enough options to excite you here. The collection is updated seasonally, around four times a year. The price range starts from INR 2,899 to INR 7,500.